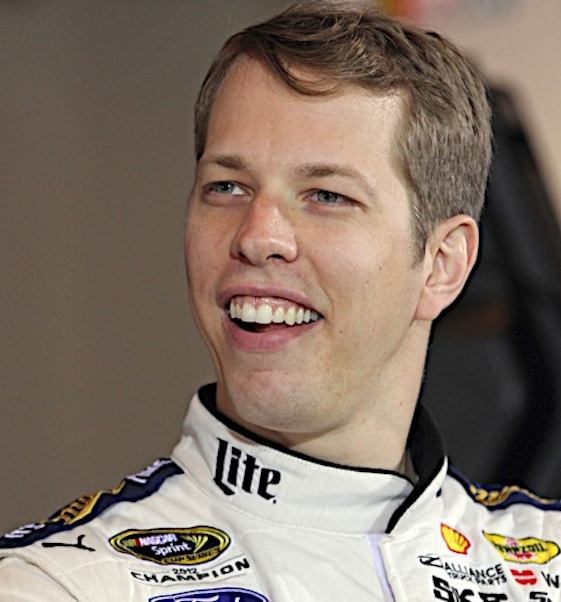 Leading the field to green will be Team Penske’s Brad Keselowski in the No. 2 Ford. He will gladly accept the pole start, Keselowski said. “It’s great and my team guys were the first to tell me that we earned it,” Keselowski said, “because we obviously have been having a great season, maybe not with what we had done on track today, but with what we had done throughout the course of the year and scoring a lot of points and winning races. Martin Truex, Jr. will start second, Kyle Busch third, Matt Kenseth fourth and Joey Logano fifth. The Dover race is the final event in the 10-race Chase’s opening Round of 16. The results will determine which 12 drivers remain championship-eligible and which four fail to advance in the postseason. Truex and Kevin Harvick have secured berths in the Round of 12 as a result of winning at Chicagoland Speedway and New Hampshire respectively. (2) Brad Keselowski, Ford, Charter Team – 2016 Owner Point 1. (78) Martin Truex Jr., Toyota, Charter Team – 2016 Owner Point 2. (18) Kyle Busch, Toyota, Charter Team – 2016 Owner Point 3. (20) Matt Kenseth, Toyota, Charter Team – 2016 Owner Point 4. (22) Joey Logano, Ford, Charter Team – 2016 Owner Point 5. (4) Kevin Harvick, Chevrolet, Charter Team – 2016 Owner Point 6. (11) Denny Hamlin, Toyota, Charter Team – 2016 Owner Point 7. (48) Jimmie Johnson, Chevrolet, Charter Team – 2016 Owner Point 8. (24) Chase Elliott #, Chevrolet, Charter Team – 2016 Owner Point 9. (19) Carl Edwards, Toyota, Charter Team – 2016 Owner Point 10. (41) Kurt Busch, Chevrolet, Charter Team – 2016 Owner Point 11. (42) Kyle Larson, Chevrolet, Charter Team – 2016 Owner Point 12. (1) Jamie McMurray, Chevrolet, Charter Team – 2016 Owner Point 13. (3) Austin Dillon, Chevrolet, Charter Team – 2016 Owner Point 14. (14) Tony Stewart, Chevrolet, Charter Team – 2016 Owner Point 15. (34) Chris Buescher #, Ford, Charter Team – 2016 Owner Point 16. (5) Kasey Kahne, Chevrolet, Charter Team – 2016 Owner Point 17. (88) Jeff Gordon, Chevrolet, Charter Team – 2016 Owner Point 18. (31) Ryan Newman, Chevrolet, Charter Team – 2016 Owner Point 19. (21) * Ryan Blaney #, Ford, Open Team – 2016 Owner Point 20. (47) AJ Allmendinger, Chevrolet, Charter Team – 2016 Owner Point 21. (17) Ricky Stenhouse Jr., Ford, Charter Team – 2016 Owner Point 22. (6) Trevor Bayne, Ford, Charter Team – 2016 Owner Point 23. (10) Danica Patrick, Chevrolet, Charter Team – 2016 Owner Point 24. (16) Greg Biffle, Ford, Charter Team – 2016 Owner Point 25. (27) Paul Menard, Chevrolet, Charter Team – 2016 Owner Point 26. (43) Aric Almirola, Ford, Charter Team – 2016 Owner Point 27. (15) Clint Bowyer, Chevrolet, Charter Team – 2016 Owner Point 28. (13) Casey Mears, Chevrolet, Charter Team – 2016 Owner Point 29. (95) Ty Dillon(i), Chevrolet, Charter Team – 2016 Owner Point 30. (38) Landon Cassill, Ford, Charter Team – 2016 Owner Point 31. (23) David Ragan, Toyota, Charter Team – 2016 Owner Point 32. (7) Regan Smith, Chevrolet, Charter Team – 2016 Owner Point 33. (44) Brian Scott #, Ford, Charter Team – 2016 Owner Point 34. (83) Matt DiBenedetto, Toyota, Charter Team – 2016 Owner Point 35. (98) * Timmy Hill(i), Chevrolet, Open Team – 2016 Owner Point 36. (46) Michael Annett, Chevrolet, Charter Team – 2016 Owner Point 37. (32) Jeffrey Earnhardt #, Ford, Charter Team – 2016 Owner Point 38. (55) * Reed Sorenson, Toyota, Open Team – 2016 Owner Point 39. (30) * Josh Wise, Chevrolet, Open Team – 2016 Owner Point 40.